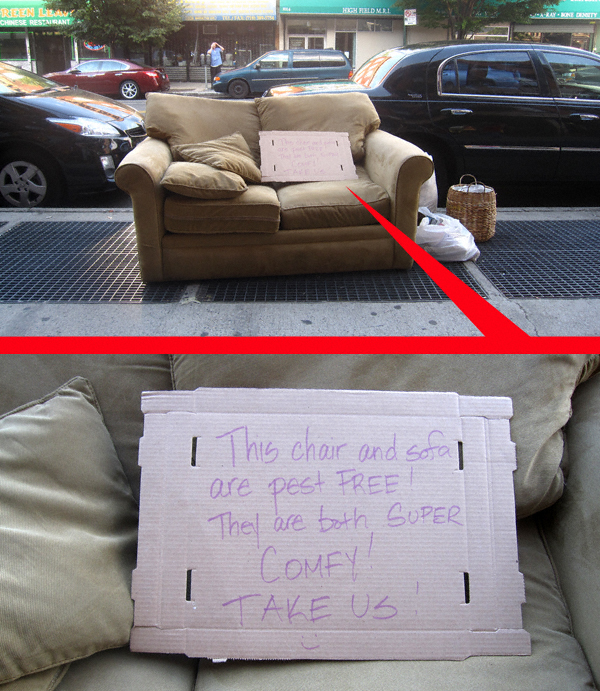 Spotted On Manhattan Avenue: Pest Free! 4 Comments on Spotted On Manhattan Avenue: Pest Free! All of the cushions were later removed and placed on the sidewalk near the building — to soften the fall for the raccoons. Yup, in front of the Mark Bar. Interesting. I wonder what the story is that led to that sign being replaced. I’m certain it is not a pretty one. You know there was an armchair with it, yes? Yikes!